Do I Believe My Beliefs? Do I believe the world to be kind or unkind? Do I believe people to be good or bad? Do I believe people are liars or honest? Do I believe there is no purpose to life, or that there is something deeper? Do I believe whatever I’m doing is fun or boring? Do I believe someone loves me, or that they don’t? Do I believe life/the universe/God/a greater intelligence supports me, or it's all baloney? Do I believe in soulmates or twin-flames? Do I believe in love at first sight? This final question can open us up to our true liberation. 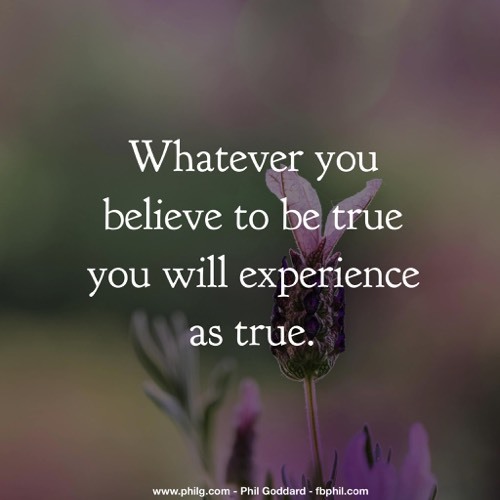 Once we see that our experience of life depends, not so much on what we think and believe, but our relationship to what we think and believe, we can become free from our beliefs. Free from, rather than free of our beliefs. As far as I can tell, humans have beliefs, they are a natural part of how we interpret and look to understand the world. Yet, when we see that all our beliefs are imagined, exist only in thought, our relationship to any of our beliefs can change, our hold onto our beliefs often softens as we see their made-up nature and that they only exist as thought. And in that softening, our deeper experience of life seems to depend less on what we think we know, but what we simply see as thinking that we know.